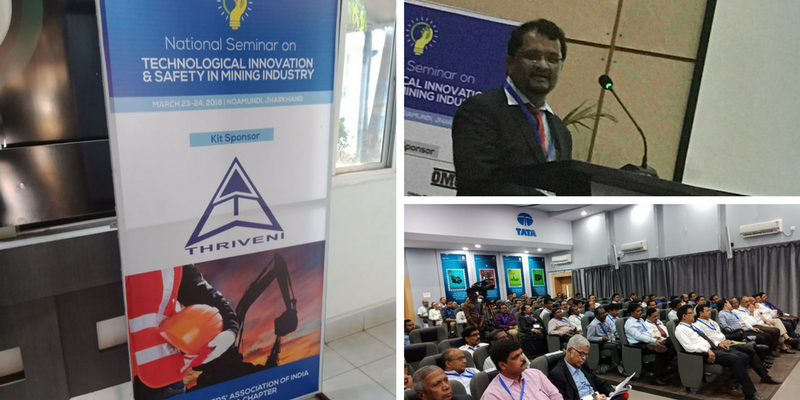 Thriveni Event Kit Sponsor at National Seminar on “Technology Innovation and Safety in Mining Industries”. National Seminar on Technology Innovation and Safety in Mining Industries held on March 23-24, 2018 by JRDTTI Noamundi, Jharkhand. Thriveni was the Kit Sponsor of the event. A talk on “Truck despatch systems in surface mine with complete automation and bulk handling of material in mines”,was delivered by Mr. Mallikarjun Sarapur, General Manager Operations, Thriveni.